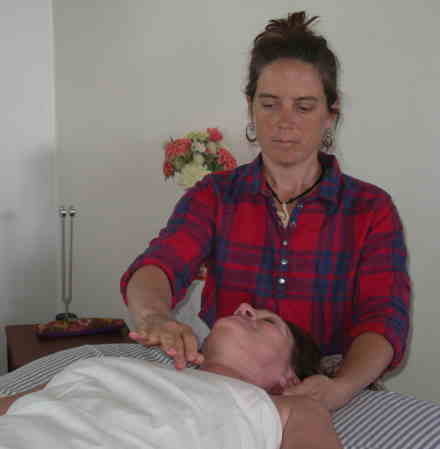 Liz during a Biodynamic Craniosacral session in the Santa Fe office. A decade of study into sustainability led me to realize that we as a whole species cannot survive sustainably without each individual human embodying their health. In studying and becoming certified in Craniosacral Biodynamics I learned that we are always an expression of health. Even if full of unhealthy inertia and trauma, our bodies’ internal intelligence remains inherently an expression of health and healing constantly moving toward survival. In the fertile edges of our lives and our bodies, our internal systems meet and dynamically interact to move us toward health and wholeness. Thus, Craniosacral Biodynamics is the primary approach I use in my professional practice. 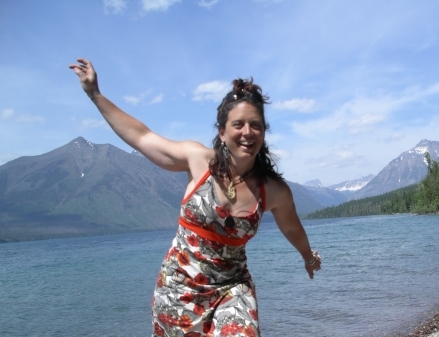 I have a background in massage therapy, and have training in Shiatsu and Healing Presence. I offer essential oils during sessions, particularly because they are a potent encapsulation of the spirit of individual plants, and because the oils are a natural way to bring the power of my garden into the office to share with clients. During sessions with my clients I employ all of the modalities in which I am trained, and Craniosacral therapy is the steadfast focus of my work: It simply is the most potent healing process I have experienced. Please contact me for more information or to arrange a session.